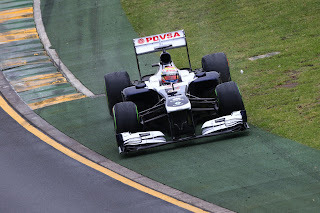 The Williams F1 speedy Pastor Maldonado says that their new machine is undriveable throughout qualifying for the Australian Grand Prix. Last season Spanish GP winner, the Venezuelan did not make enter the Q2, tomorrow he will start from the seventeenth on the grid. He claims that Albert Park completely different, the conditions and everything. Also new Williams not suited for this track. “I think we’re back to two years’ ago with the conditions in the team,” Maldonado said following the Q1.